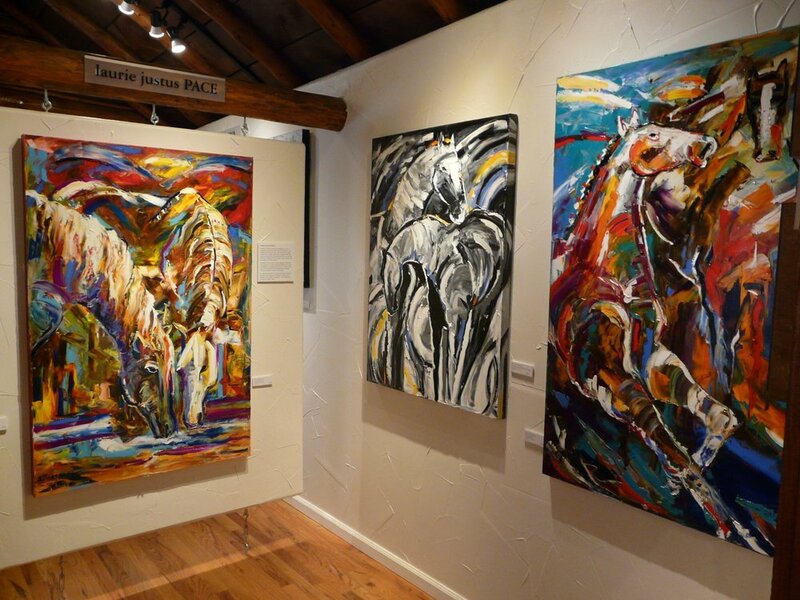 A degree in art, ten years with an advertising agency, and thirty-nine years teaching art have brought her full circle to top honors at international art shows in oil, watercolor and photography. Constantly pushing the edge, Laurie presses in her work to celebrate and discover. Her compositions are fluid, with color and dimension setting the pace for a unique painting journey each time. Join me in my studio each day. You can stop by daily to read and catch up up my thoughts, musings or just plain daily jabber. We journey through this life together and I love sharing with you and hearing from you. You bring spirit into my studio with your emails and comments. Come join me and sign up for my Monday Morning Journal which arrives in your email once a week. Sign up here. Commissioned Paintings: I must confess I have an addiction issue. My paintings should be your first clue. I am addicted to color. I like it in all shapes, sizes and shades; and in any amount. Color is filled with energy and that energy feeds my passion and is the foundation of my work. I would love to paint something special just for you... and spread some of the color and energy into your life. Let's begin your painting today. An organic collection on Birch wood. 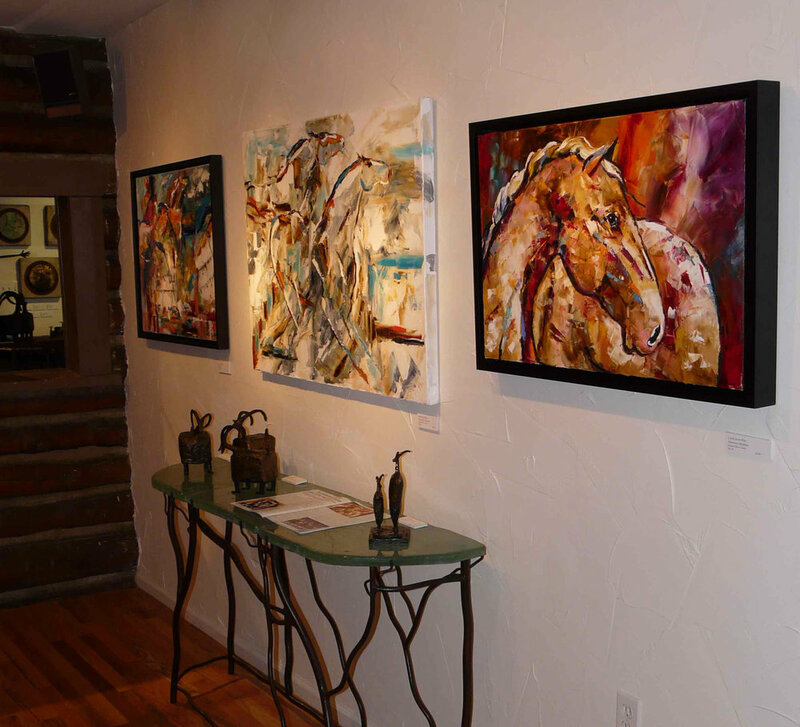 Available Horse Paintings for Sale.